WHAT ARE THE REASONS BEHIND LOSS OF APPETITE???? The desire which fulfills the need of body is called appetite. If you have no desire to eat that means you have lost your appetite. There can be so many reasons behind loss of appetite. Most of the time mentally stress or abnormal physical conditions are the reason for the loss of appetite. Growing older because with ages digestive system also changes which cause appetite loss. If you feel full just after having a little amount of food. If you mood swing like sometimes you feel happy sometimes you feel down. Your mouth will be infected. You will feel pain in the lower part of your body. Don’t eat one or two big meals in a day. It will create indigestion or fullness. Divide your meals into 4 or 5 small meals in a day. Eat bigger meal when you feel very hungry. Another name of Indian gooseberry is amla. It is a great source of vitamin C which helps to not only boost the immune system but also facilitates mineral absorption. It also improves the functioning of the digestive tract and also detoxifies the liver. If you have vomiting and nausea Indian gooseberry is a tonic to reduce them. You can have amla juice with lemon and honey on an empty stomach in the morning. On the other side, you can have amla powder with water. Most used stimulant to increase appetite is ginger. It helps to increase immune strength. It also strengthens the digestive system. It works great for stomach pain. You can have ginger juice or also can have with tea or other dishes. As carom seeds increase the production of digestion enzyme, it helps to bring the lost appetite. You can have carom seeds with luck warm water which will stimulate your desire to eat. Garlic is quite useful to increase appetite .you can have two or three garlic cloves after boiling in water or can have them with lemons. Coriander is well known as a herb which is used to treat indigestions. It usually helps to increase gastric enzyme which is very important to increase appetite. It also helps to treat gas, colitis, nausea. You can eat coriander as the vegetable with other foods or can have coriander juice. For making juice, you need coriander leaves, water, salt, lemon, sugar, black pepper and blend it in a blender. One thing you have to remember that you have to drink it on empty stomach. Tamarind is famous for laxative and taste enhancer. It helps to increase appetite and digestion. But do not have Malabar tamarind which is not so helpful to increase appetite. You can have tamarind juice. Mix tamarind, water, sugar, salt, black pepper for taste and drink this mixer regular. If you want aa greatappetite stimulant and natural blood nothing can replace alfalfa. It contains lots of vitamins like A, B, C, D and K. It also good for kidney problems as it has lots of minerals like calcium, magnesium, potassium, phosphorus, iron, zinc, folic acid. You can have alfalfa as tea. You need dried alfalfa and hot water to make alfalfa tea. You also have them with other dishes. But before having alfalfa you have to consult da octor as it is not suitable for who has aan utoimmune disease, gout. Fennel tea works not only for adult but also c forhildren. It is really so helpful to digest food. 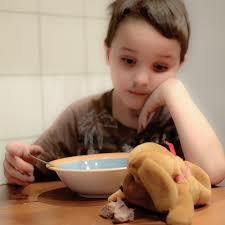 It is a normal fact for children that they do not want to eat and the main reason is the absence of appetite. Fennel tea can be used for them as rea medy to increase their appetite. to make fennel tea you have to boil water with fennel seeds for few minutes. You can add honey or orange juice for the flavors. Carom seeds usually work as antacids and anti-flatulent which is better for loss appetite. It also inincreasesnzyme of stthe omach which usually digest food. As a result i,t increases hunger for food and appetite. You can have carom seeds with warm water. Pomegranate has lots of antantioxidantsd vitamins. For this reason it, is a very healthy and appetite producer food for not only adults but also for children. To be a healthy person exercise is a must. Workout burns fat and produces desire to eat which will increase appetite. Appetite loss is never been good for health. 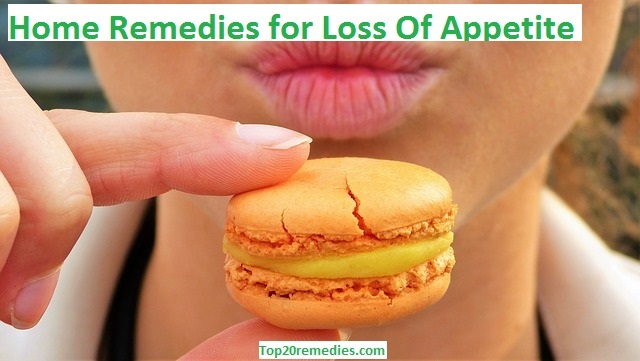 So those who have lost appetite can use these remedies and bring their appetite for food.